I put Cheez-It crackers on buffalo chicken. Yup. Also, did you know Cheez-It isn’t supposed to be plural? Ever. Like you’re not supposed to say Cheez-Its. And that’s really, really difficult not to do. I just spent some time perusing the Cheez-It Facebook page and they do not mess this up ever. Since I work in social media for my day job, I get how much these things matter. I’m just imagining my Cheez-It content calendar coming back from the client all marked up. No “s” there! You forgot the trademark sign! If you want to write the plural, you must include the word “crackers.” Head swimming. And also quite sad that these are the things I think about quite regularly. Sometimes they even keep me up at night. I think I’m really just avoiding the point at hand here. You see…. it’s not like me to do things like put Cheez-It crackers on chicken. I’m more of a fresh breadcrumbs or panko kind of girl. I’m not much for taking packaged ingredients and making semi-homemade meals with them. But the second this idea popped into my head, I could not get it out. Buffalo chicken is awesome… But buffalo chicken coated in Cheez-It crackers? HELLO. I don’t think I’ve ever met anyone who isn’t a fan of the Cheez-It and unless you absolutely cannot stand spiciness of any kind, you’re likely to love buffalo chicken, too. I decided to use FOOTBALL and my husband as an excuse. I was simply trying to be a good wife and make my husband a fun game time snack. And they ended up being pretty awesome… So much so, that I ate a few myself. Quite a few. Ahem. Determined to add some sort of adult element to this snack, I paired the chicken with an avocado lime dipping sauce. Let’s face it, this chicken is a pretty kid-friendly food (especially if you use a less spicy hot sauce) and the dipping sauce allows it to grow up a bit. These are so ridiculously easy to make. Which is pretty much perfect when you’re trying to prepare snacks for a football game. The hardest part is probably turning the Cheez-It crackers into crumbs. I recommend using a sturdy plastic bag and a meat mallet. Put your flour and garlic powder whisked together in one medium-sized shallow bowl. In another place your hot sauce. And in a third, place your Cheez-It crumbs. Take each chicken piece and dredge it in the flour (dredge is legit one of my favorite words ever!) and then dunk it in the hot sauce so it’s nicely coated. Finally, roll it around in the Cheez-It crumbs until the chicken is completely Cheez-It covered. Place the chicken pieces in a baking dish that’s been lightly sprayed or brushed with oil. Bake the chicken for about 15 minutes at 400 degrees, until completely cooked through. While it’s cooking, whip up the dip. Another super easy one. 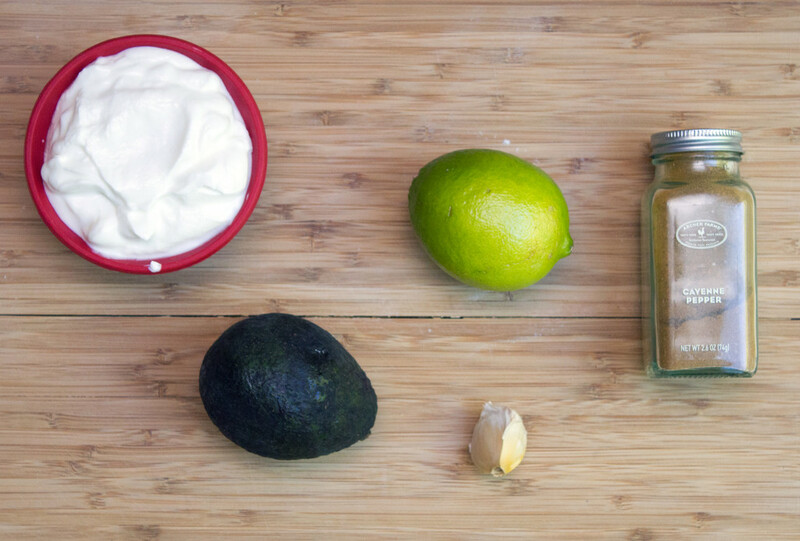 Put Greek yogurt, avocado, lime juice, garlic, and cayenne in a blender or food processor and blend until completely smooth. Add salt and pepper to taste. Grab your chicken out of the oven, just in time for the game! Whatever game it may be. I’m not a big sports fanatic, but I’ll certainly cheer on all of the New England teams. Especially if it means football food and drinks. 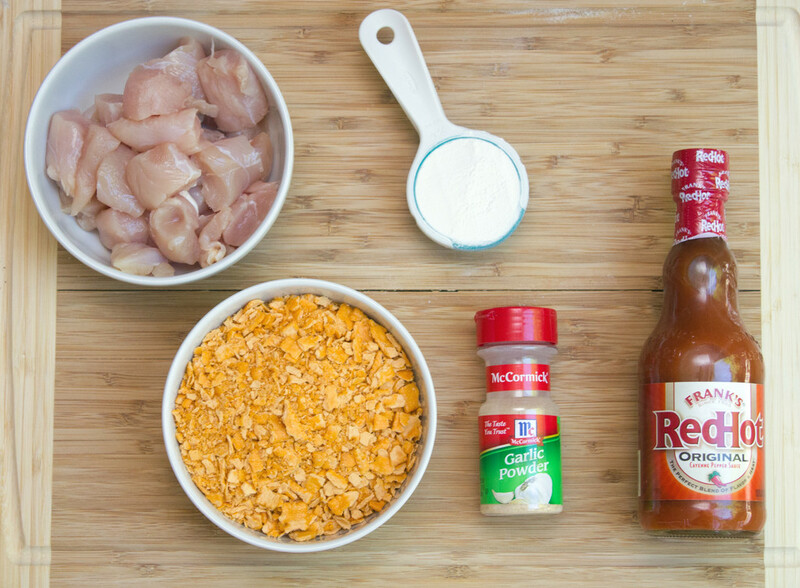 There isn’t much that makes buffalo chicken even better than it already is. But if anyone can do it, it’s Cheez-It. I’m happy to say that the chicken came out of the oven perfectly tender and incredibly flavorful. Chris said these were even better than the buffalo chicken from his favorite chicken place. Which I’m counting as a major win, especially since they’re baked and not fried. Even though they’re coated in Cheez-It crackers, I’m still willing to bet they’re a whole lot healthier than what you get in most bars and restaurants. And if there’s anything that makes buffalo chicken coated in Cheez-It crackers better, it’s avocado. While this chicken wasn’t SO spicy that it needed a cooling dipping sauce, I thought the avocado lime dipping sauce majorly complemented the chicken. 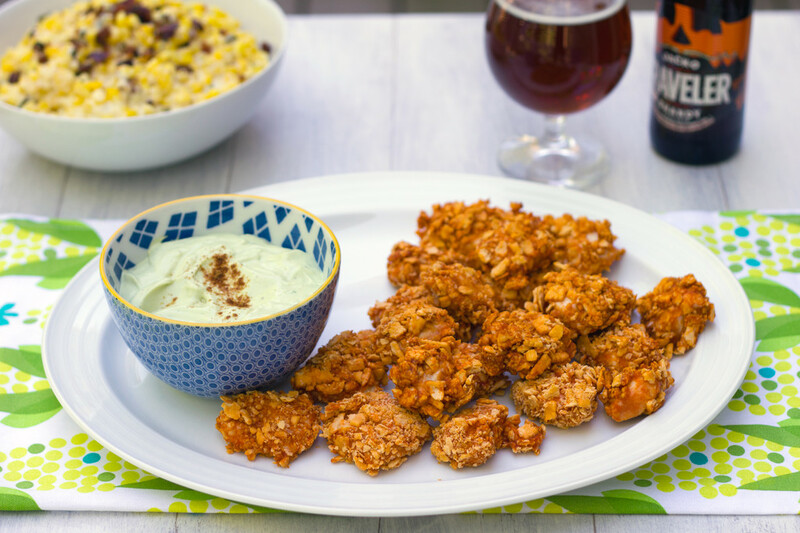 Can we make avocado sauce the new dipping pair to the buffalo chicken? Don’t get me wrong, I love blue cheese and all, but this seriously paired well with the chicken without overpowering it. Yes, I finally broke open the pumpkin beer. We actually bought this Jack-O Traveler Shandy in early August because Chris convinced me if we didn’t buy it then, it would sell out by the time we wanted it. And I totally fell for it. So, I permitted it into my home, but wouldn’t open it until September. And let’s face it, this weekend was pretty fall-like. Oh, I made this corn dip, too. Because I’m getting seriously sad corn season is almost over and it looked like the perfect tortilla chip dipper. Suddenly, I’m not toooo sad summer is over. And seriously, if this is what a Sunday in the fall looks like, then football can play whenever it wants to. And I mean, it totally does now. Has anyone else noticed that football is on basically every night of the week now? I’m not quite sure how that happened, but it probably would not be smart of me to eat like it’s Football Sunday every time a football game is on. Even though I want to. There’s just one more week until fall officially starts, but considering I broke out the jacket today and was still shivering, I’d say it’s begun. Call me crazy, but this definitely won’t be my last time putting Cheez-It crackers on chicken. It might even become some sort of regular occurrence. While it’s the perfect football food, it may also be just the thing to get me through a long Monday (the first with no Bachelor-type show on… Ack!). Though it’s highly possible I’ll end up just face-planting into that avocado dip at the end of the day… avocado is good for the skin, right?? What’s your favorite football snack? 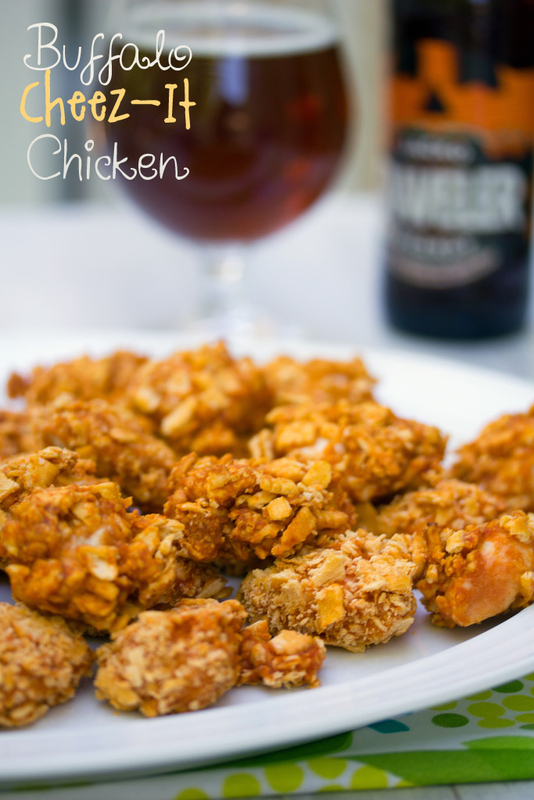 27 Responses to "Buffalo Cheez-It Chicken"
There is nothing better than football food! 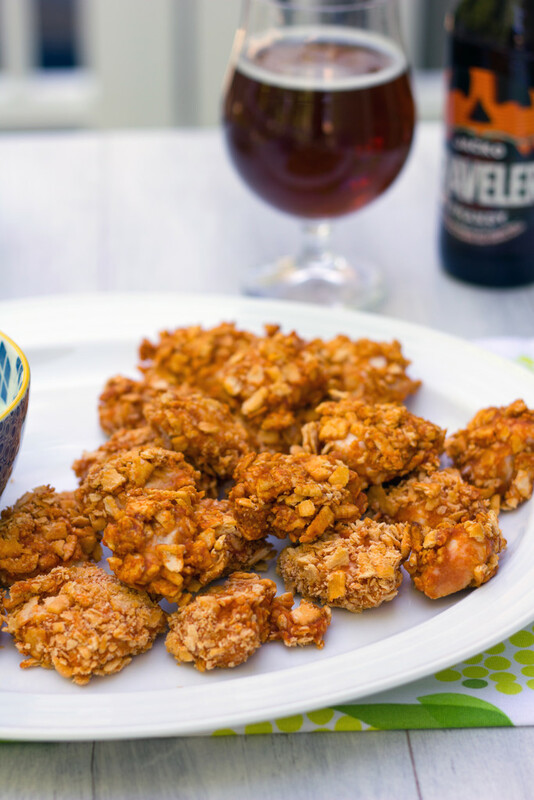 I love that you changed up these chicken tenders with Cheez-It (no s!). Buffalo chicken is a must. Thanks for providing that corn dip link because it also looks awesome! Usually on football Sunday, my must-have is pizza dip and/or nachos! Although I will admit, these chicken tenders don’t look too appetizing (I’m just not ready to put Cheez-it crackers on things yet!). But please tell me how the Traveler Pumpkin is!?! I hadn’t heard of the brewery until you introduced their grapefruit shandy (which was delicious!) – so I’m curious about the pumpkin! This just changed my world… I am going to have such a hard time saying Cheez-It crackers instead of Cheez-Its! Also, the chicken sounds amazing… and that corn dip! Sooo in love with this idea!! Something like this goes for football Sunday!! This is a genius idea. Also I am so used to saying cheez-its! I LOVE this. They look so perfectly coated, too. Cheez It (I’m not sure I can never call them Cheez Its again) are my guilty pleasure. That salty/cheesy/crunchy thing gets me every time. I’m sad summer and Bachelor related shows are over 🙁 How are we suppose to get through Mondays now? 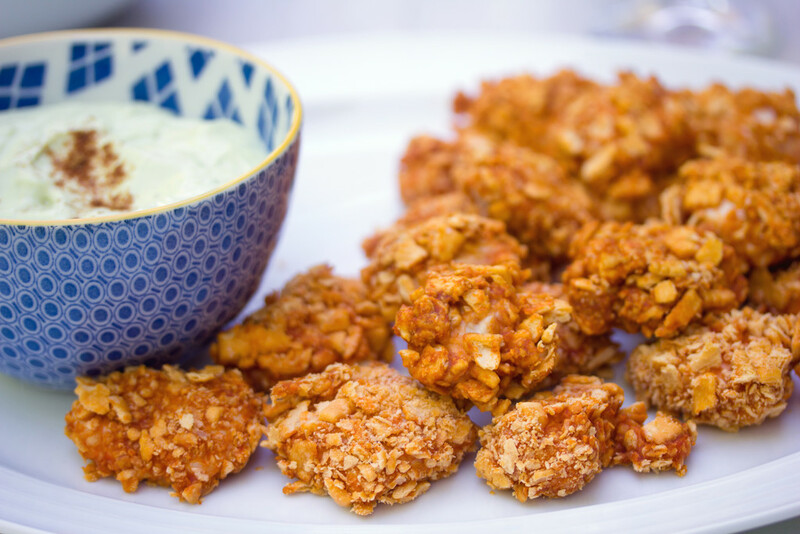 These chicken bites will definitely help. I had no idea about the Cheez-It. I think I say it with the s all the time! I love those little squares of goodness. They sound fantastic for this chicken and the dipping sauce. I’m so hungry after reading this post! These foods would help me to enjoy football…I’m only in it for the snacks! My husband would LOVE this chicken. He loves cheez-its and the addition of the buffalo sauce sounds delicious. 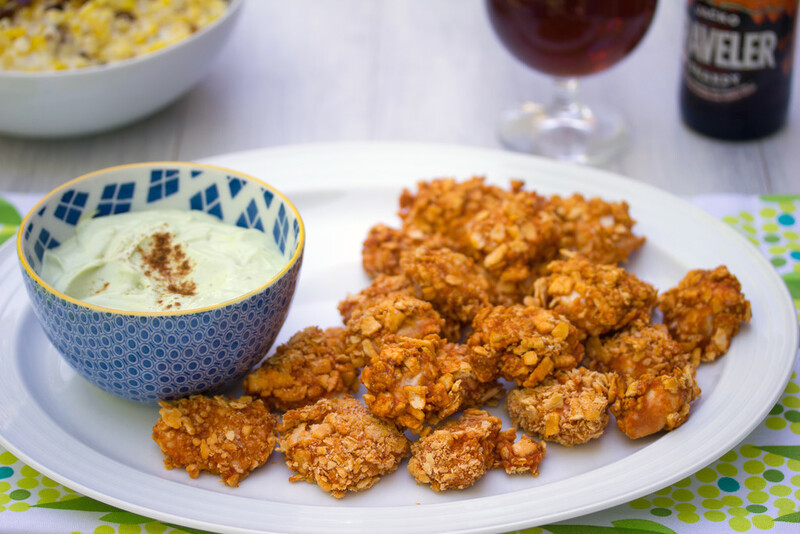 These would make the perfect game day appetizer! 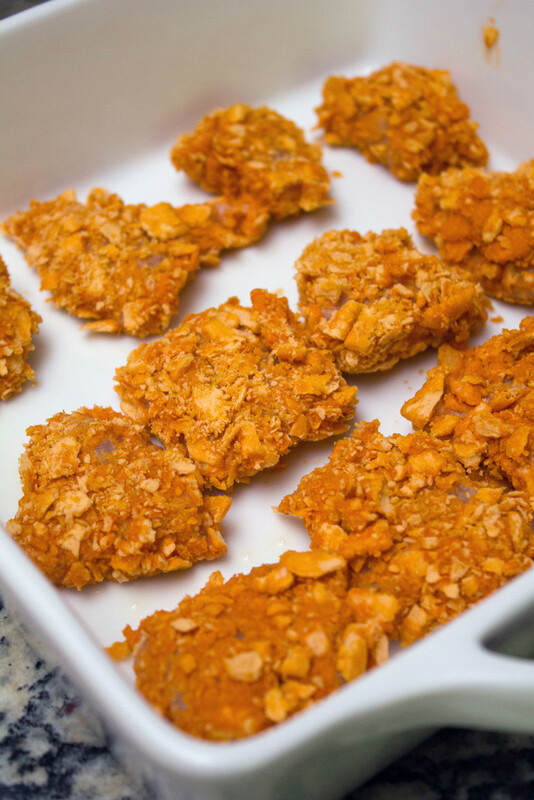 this is amazing–my bro in law looooves cheez-its…i have to make this for him! Yum! 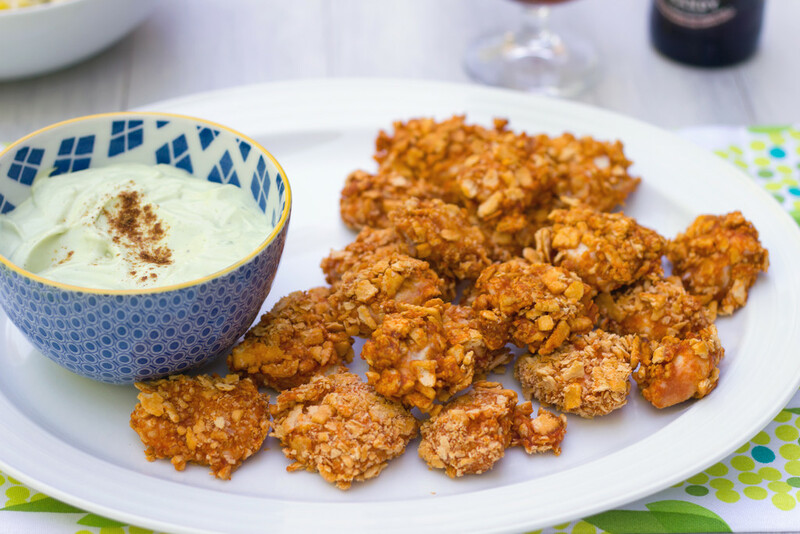 These look super crunchy and delicious! 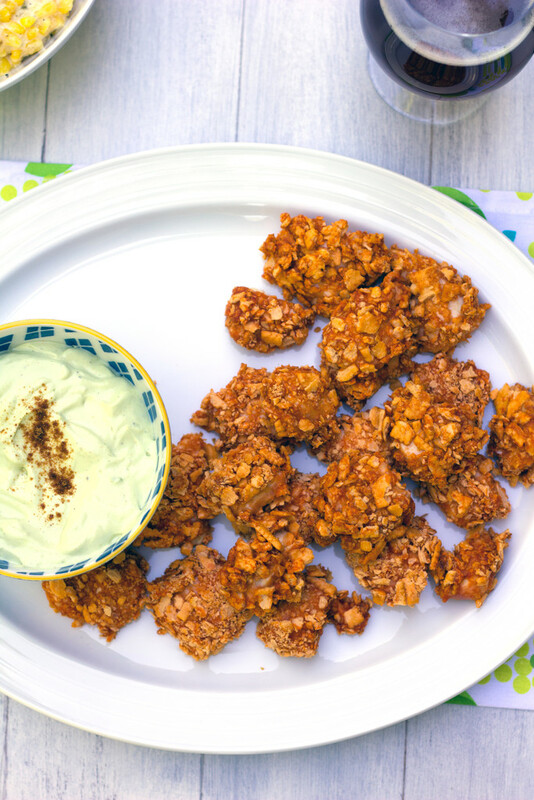 I love coming up with new snack recipes to make for my husband on Football Sunday! I am going to try this recipe – thanks! 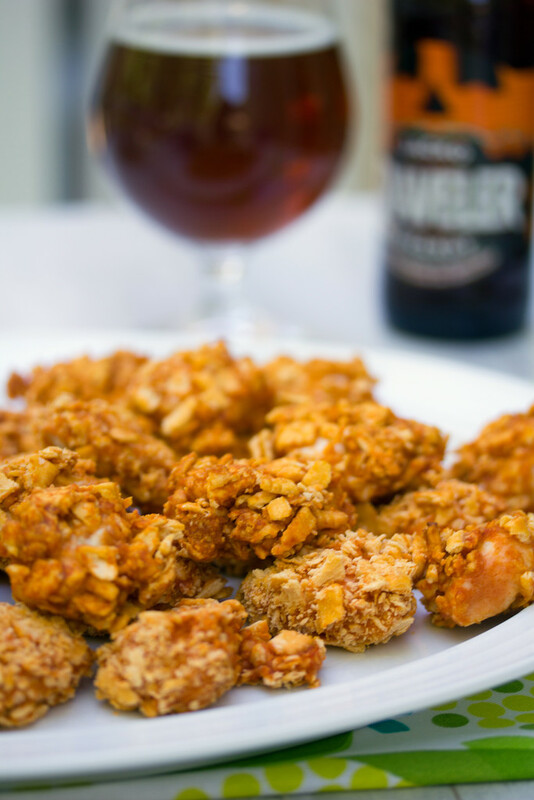 They look so wonderfully crunchy and flavourful! 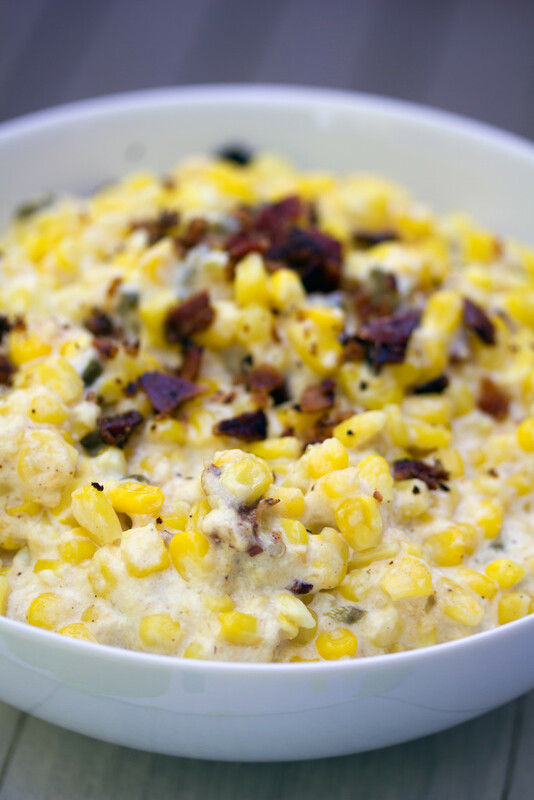 Love that corn dip! I love the creativity of this chicken dish! What a great idea to add in some cheez-its and flavor. Sounds like a perfect meal to me! party food at its best! Yes please! It all looks delicious especially that dipping sauce! yUM! Cheese-it, or cheese-its…how ever you say it, I want it on my chicken lol! I totally understand where you’re coming from though, I always have to make sure I’m getting it right for clients as well, sometimes it does keep one up at night 🙂 This chicken looks amazing! Amazing!!!! Thank you so much for sharing!!! Decided to try it before commenting, it was delicious! 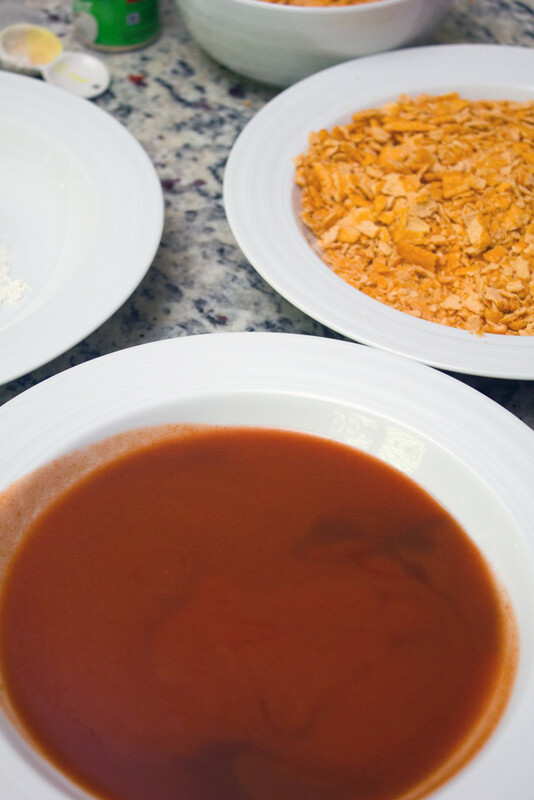 There was this interview with the famous chef Barbara Lynch from Boston, and one of the questions was ‘favorite comfort food’ and she answered with Cheez It’s. I just loved her even more as Cheez It’s are my crack; I rarely buy them since I will eat the whole box. @Vanillasugarblog Oh, me too! My office is often stocked with Cheez-It and it’s so dangerous!! @Catherine- I LOVE the Traveler Pumpkin! It’s probably my new favorite pumpkin beer as it has good pumpkin flavor and very nice spice. If you try it, let me know what you think! I am totally loving all things hot sauce 😉 The dip sounds soooo good too! This idea!! I will be trying this. And I had no idea about the real way to spell Cheez-It! Sues – the beer was amazing!! I’m so glad I can continue my #summerofshandy into fall! Oh man, I used to LOVE Cheez-It (s). My guilty pleasure in college was Cheez-It dipped in cream cheese. It’s a miracle I didn’t gain 50 lbs. I don’t think I’ve had the crackers since college, but this is definitely making me want to pull them out again! This looks like the perfect mix of salty/crunchy/spicy, Sues! And I’m totally guilty of making “Cheez-It” plural…whoops! Well you learn something new every day! 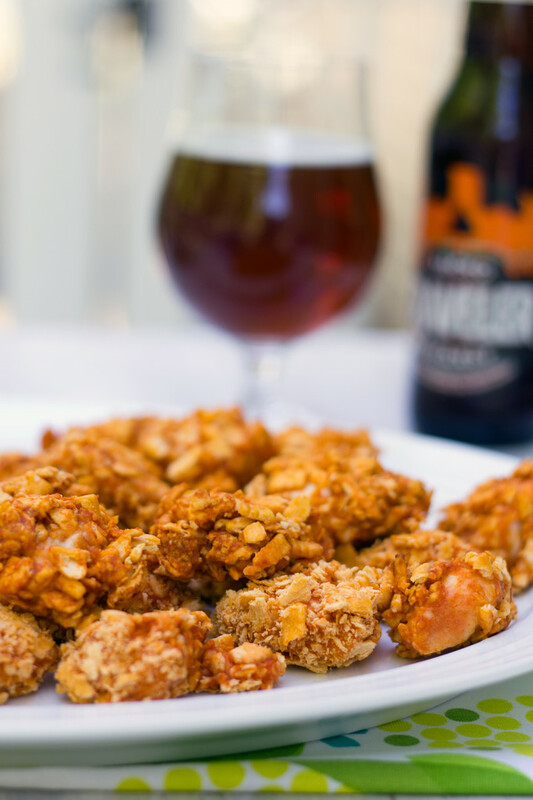 Sipping a pumpkin beer alongside this chicken sounds perfect.